After conducting a search, you should see your results listed with check boxes next to each result. 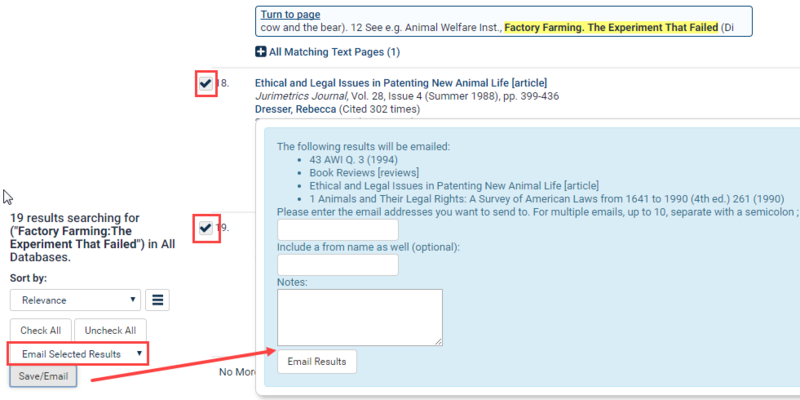 Select the check boxes next to the results you would like to email, scroll to the last result and you should see a drop down menu. From the drop down, select “Email Selected Results” You will then be prompted for your name, email and optional message to include with the search results. 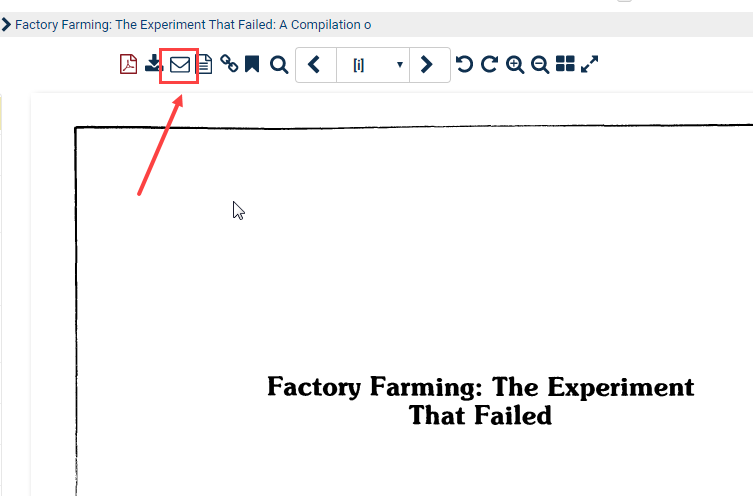 This icon will enable you to send a direct link to an item that falls within the 200 page limit to another user. The end user does not need to be authenticated to HeinOnline in order to use the link, which will be active for 7 days from the day the email is sent. For users who receive the link and are authenticated to HeinOnline, the link will not expire.